In 1973, I lived in Grand Forks, North Dakota, which is located on the Red River. Like the Nile, the Red flows northward, one of the few rivers in the world to do so. That spring, a river wasn't the only thing flowing north from Grand Forks. My junior high school fed a steady pipeline of exchange students up to Winnipeg, Manitoba, which also is located on the Red. I don't know how teachers picked kids for these trips, but I suspect only the best and brightest made the cut. Let's be clear: I've never been among the best and brightest in my life—which explains much of what follows. Despite not making the first cut of kids, that spring I managed to hitch rides north with three different exchange groups—each time as a last minute replacement and never as anyone's first choice. Each trip followed the same routine. Friday morning, about twenty of us would travel 150 miles by bus, disembark at a Winnipeg school, meet our student guides, attend afternoon classes, and spend the night with our host families. Saturday we'd visit the planetarium, tour the art gallery, eat at downtown's cheapest restaurant—the Old Spaghetti Factory—and board the bus for home. These journeys were memorable. But what I remember most about them was the greatest Canadian delicacy ever: Mackintosh Toffee. I hadn't visited Winnipeg before my first exchange trip, but other kids had. They knew all about Mackintosh—and that it wasn't sold in the US. Near the Spaghetti Factory stood a convenience store. After lunch, several kids stormed in and bought multiple cases (each case contained ten toffee boxes). Since I'd overspent on pasta, I could only afford a single box, which cost 15 cents. I got on the bus and looked over my purchase. The package was beautiful. Its bright red tartan evoked a cheerful clan of kilted confectioners. Within each box resided a 56 gram solid brick of toffee that was scored into a dozen or so breakable squares. Fun fact: As a superstar of the confectionary world, Macintosh has such a dedicated following that it even merits its own blog! Once the square had warmed, a caramelized ambrosia sped its way to receptors located deep within my inexperienced teenage brain. The delicious sweetness hit me with full force—I had tasted nothing like this before. I broke off another square and greedily stuffed it in. Within an hour, my toffee was gone. Desperate for more, I approached one of the wiser kids who had bought several cases. "I'm out of toffee, could you spare some?" I asked. "Sure loser, it's 50 cents per box." "But the store charged only 15 cents," I said. "True. But here it costs 50 cents." A figurative 20-watt bulb flickered dimly above my head. It now occurred to me why this kid had bought so much toffee. No wonder he was among the best and brightest. "Alright," I said, "give me a box and I'll pay you Monday." "No way, deadbeat. See me Monday and bring the money." Like I said, this kid was among the best and brightest. On Monday, I lined up behind several others in the cafeteria and forked over 50 cents. I could see this savvy importer was doing well. With the 3x markup, each case produced $3.50 in pure profit, and even more with the favorable exchange rates. So not only did these brittle bars taste great; once imported stateside, they turned into bricks of pure gold! Although I held off eating my 50 cent extravagance as long as I could, by early Tuesday it was gone. I was bereft . . . but then events turned swiftly in my favor. That very afternoon, the principal's office called and asked me to fill in on another trip to Winnipeg. Friday morning, I was traveling north with my own plans for import riches. I have to admit, the second time around the exchange routine was starting to get old. 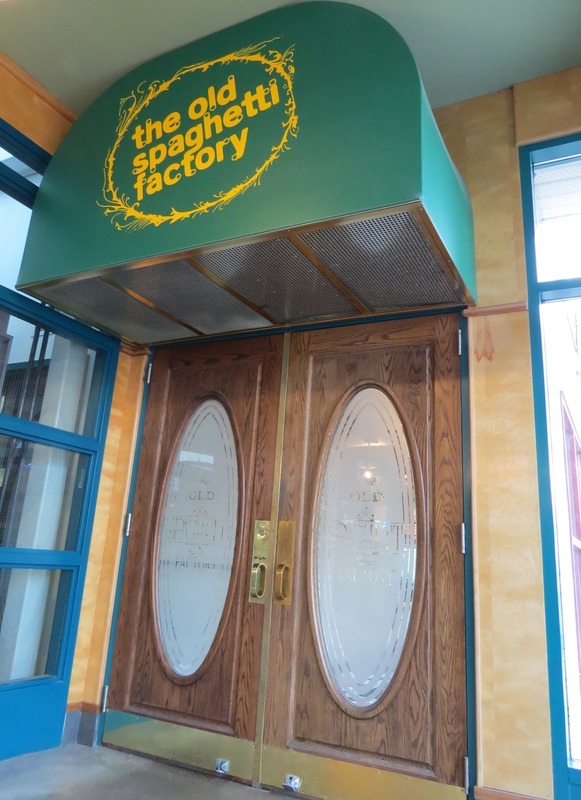 But as we left the Spaghetti Factory, I seized my entrepreneurial opportunity. I charged into the store and emerged with three full cases. Massive profits lay only 150 miles south! Once home, I gathered together my brother and two sisters (I was the oldest). As they watched, I performed the Scottish rites: I opened a fresh box, peeled back the wrapper, broke off a square, put it in my mouth, let it soften, and began to chew. "This tastes fantastic," I enthused, "but you can't get it here; it sells only in Canada." Then I segued into drug pusher mode: "Want to try some?" They nodded. They each took their free hit, put it in their mouths, and let it soften. And then the flavor took hold and overwhelmed their preadolescent senses—all as I had foreseen. From that point, they were hooked. They wanted more. They begged for more. "Sure," I said, "it's 50 cents per box." And off they scrambled to their little piggy banks and stashes of cash. They raided coins from the top of the washing machine, they plundered our dad's change drawer, they upturned every couch cushion. And all the coins in the house were harvested and delivered to me. They feasted. I got the money. I hid my coins high up in the closet of my basement bedroom. On Monday I went to school with a few boxes to sell. But once there, I met only disinterested consumers. Other returning exchange students had saturated the market. I sold a couple bars for 15 cents each. The rest I ate. At this point, one last case of toffee remained. Fortunately, my siblings remained hooked. And somehow, they continued to find the wherewithal to pay me the full 50 cents per box. My inventory soon sold out. Ready at last to tally profits, I gathered my coins. But for some reason, things didn't add up. Since I had eaten only a few bars myself, my holdings should have totaled near $15. Yet I had just over $4. I was stunned. I couldn't figure out what had gone wrong. Later that week, the principal's office called again. Another cancellation. A third excursion to Winnipeg. By now, however, the thrill was gone. I sleepwalked through everything. After the Spaghetti Factory, I dragged my feet into the store and bought two final bricks. I ate them on the bus. I eventually pieced together why my toffee business had failed so miserably. My siblings, who were all experts at scrounging for change, had discovered and depleted my hidden stash of coins. So when they were paying 50 cents per box on my final case of toffee, they were merely recycling the same old silver they had given me before. The result: more toffee for them and unexpected losses for me. So what did this sorry episode teach me? Mostly this. Although the Red River heads relentlessly north, in any endeavor your profits can head south in a hurry. Keep careful accounts, review them regularly, and trust no one—especially your brothers and sisters. Fortunately, none of mine ever grew up to become white collar criminals. I like to think I helped them get it out of their systems early. A few Christmases ago, I found a website that sold Mackintosh. Overcome by nostalgia, I bought several bars and gave them to family as stocking stuffers. Once again, we all feasted on toffee. And we all had a good laugh, although once again the laugh was on me. Naturally, I had been forced to pay exorbitant markups to the online importer—it probably was that same kid on the first bus back from Winnipeg.